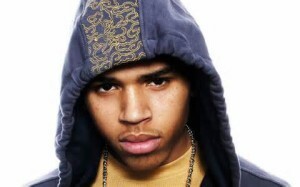 Released on November 29, 2005, the self-titled Chris Brown album debuted at number two on the Billboard 200 with first week sales of 154,000 copies.Chris Brown was a relative commercial success with the time; selling over two million copies in the United States—where it was certified two times platinum by the RIAA—and three million copies worldwide. The album's lead single, "Run It! ", made Brown the first male act (since Montell Jordan in 1995) to have his debut single to reach the summit of the Billboard Hot 100—later remaining for four additional weeks. 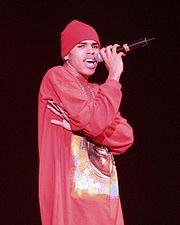 Three of the other singles—"Yo (Excuse Me Miss)", "Gimme That" and "Say Goodbye"—peaked within the top twenty at the same chart. On May 1, 2016, Brown announced that his next album title would be Heartbreak on a Full Moon. The lead single "Grass Ain't Greener" was released on May 5, 2016. In May 2016, Brown became the face of sneaker and streetwear retailer Snipes' spring/summer 2016 campaign. On December 16, 2016, Brown released the second single "Party" featuring Gucci Mane and Usher.Heartbreak on a Full Moon was eventually released as a double-disc album on October 31, 2017 via digital retailers and onto CD, three days later by RCA Records. The album received positive reviews from critics, who celebrated the record's variety, its length, and its introspective lyrical content.Heartbreak on a Full Moon debuted at number three on the US Billboard 200, becoming Brown's ninth consecutive top 10 album on the chart. 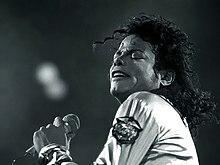 Brown has cited a number of artists as his inspiration, predominantly Michael Jackson. Brown emphasizes "Michael Jackson is the reason why I do music and why I am an entertainer." In "Fine China", he exemplifies Jackson's influence both musically and visually as Ebony magazine’s Britini Danielle asserted that the song was "reminiscent of Michael Jackson’s Off the Wall". Choreographically, MTV noticed that it "takes distinct visual cues from classic clips like 'Smooth Criminal' and 'Beat It'", while Billboard complimented his appearance by calling it "a modern way to channel the King of Pop".Usher is also another influence who comes across as a more contemporary figure for Brown. He tells Vibe magazine "He was the one who the youngsters looked up to. I know that we, in the dancing and singing world, looked up to him", and maintains "If it wasn't for Usher, then Chris Brown couldn't exist". Other influences include Marvin Gaye, New Edition and R. Kelly.